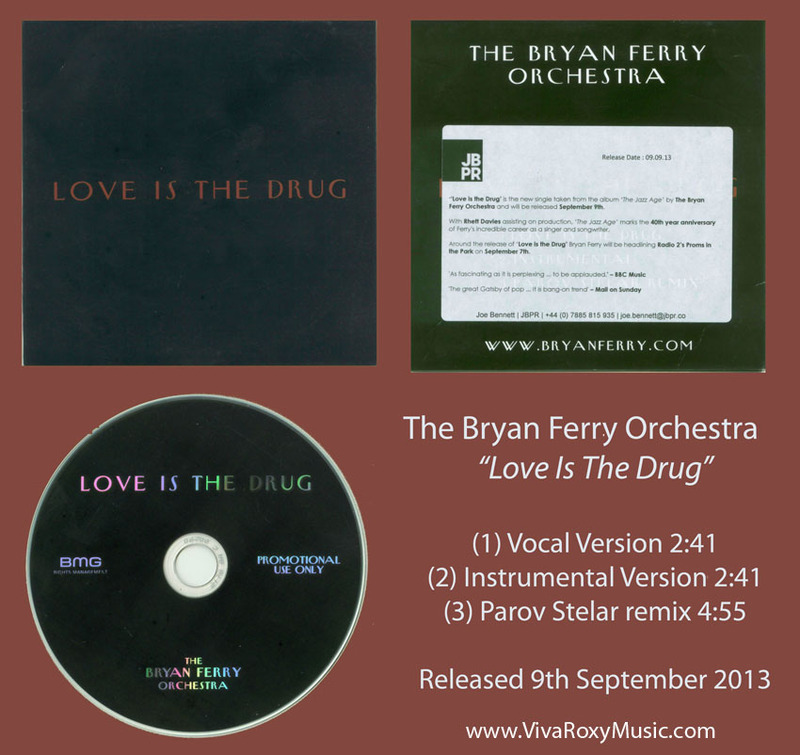 Lyrics to the song Love Is The Drug as recorded by The Bryan Ferry Orchestra. A vocal recording of Love Is The Drug with The Bryan Ferry Orchestra will be released as a download single on 9th September. There are some promo copies available. The track list includes the vocal version (used on The Great Gatsby) and the instumental version of that track as well as a 2013 DJ remix of a 1920's re-recording of the original 1975 Roxy Music classic.